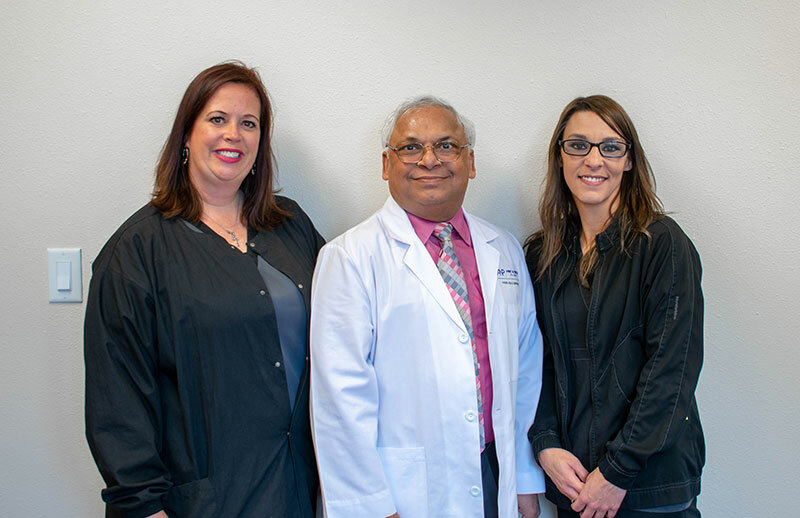 All of the professionals at ANP Foot & Ankle Clinics maintain the highest level of accreditation and pursue ongoing education to stay up to date on the latest trends in podiatry resulting in high-quality patient care. Dr. Gupta is a duly licensed Podiatric Physician who has been in practice for more than twenty-five years. After completing his training in 1990, he established ANP Foot & Ankle clinics. In 2004 he established a full-service diabetic foot center and in 2010 the laser center. In 2014 he also established a medical spa linked to the clinic. He has incorporated state of the art technology in his practice and the ability to work with it. Over the years of practice, he has experienced and treated a wide range of podiatric conditions for both children and adults. He continues to refine his techniques in treating his patients with the least discomfort possible and a faster and long lasting recovery. He recognizes and understands the frustration many people have with the pain in their feet and ankles. He is experienced with biomechanical evaluations of children and adults, vascular examinations, musculoskeletal ultrasound, sports medicine, Laser treatment for nail fungus, and preventative medicine. He reserves surgical treatment as a last resort.